The BMW X1 is a car equipped to handle every adventure, no matter where the ride is taking you next. But there are times when you’re on the road and a dashboard light will turn on. Your first inclination will probably be to try to figure out what your car is trying to say. That’s why the team at BMW of Westchester has put together this dashboard symbols guide, explaining important lights on the dash and what they mean. We want you to be able to drive the roads of Westchester County, Yonkers and Hartsdale peacefully and safely. Here are some of the important dashboard lights and what they mean. This is a common light in every vehicle, BMW X1 or not. Shaped like an engine, when this light turns on, it can mean one of many things. Make sure to keep speeds reasonable, and don’t accelerate quickly from a full stop. The emission control system can incur damage if the engine is misfiring. 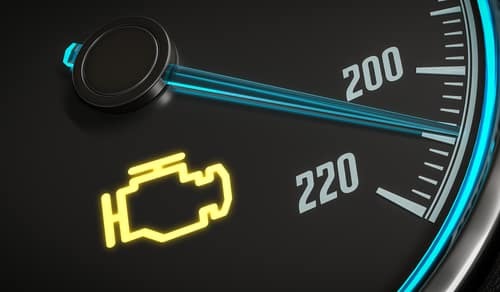 It’s important to have your car serviced soon if the check engine light isn’t turning off. The message here is clear: If the light is steady, bring your car in for service soon. If it’s flashing, shut the car off immediately and have it brought to our service center. This light, which is just the letters “ABS,” turns on when the stability control systems have failed. You can continue to drive your BMW X1, but do so carefully and be sure to brake earlier than you normally would. Avoid driving in heavy rains or snowy conditions, and bring your car in for service immediately. When this light turns on, it means that tire pressure in at least one tire is low. If the light is red, it’s a sign that tire pressure has decreased rapidly. This is common when a tire is going flat. If the light is yellow, it means pressure might just need a quick adjustment. Tire pressure can change when the weather outside changes, so if there’s a rapid temperature drop, be ready to check the tires in your BMW X1. Having the right tire pressure ensures strong performance on the roadways and keeps fuel economy numbers steady. 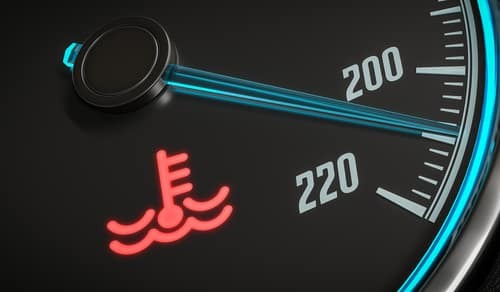 Coolant is the important fluid stored in your vehicle’s radiator that keeps the engine running the way it should. Without coolant, the engine would overheat. So, if this light turns on, it means the engine is running too hot. There may be an issue with the coolant. The best thing to do is to pull over as soon as you can, turn the car off, and let it sit. Don’t try to open the hood, as the car could be running very hot. Call our service center for assistance. At BMW of Westchester, we provide complete, comprehensive service for your BMW X1. When a dashboard symbol is on, turn to our helpful guide to decipher exactly what your car is trying to tell you. Once your car has been serviced, it’s easier to safely travel through Westchester County, Yonkers and Hartsdale.